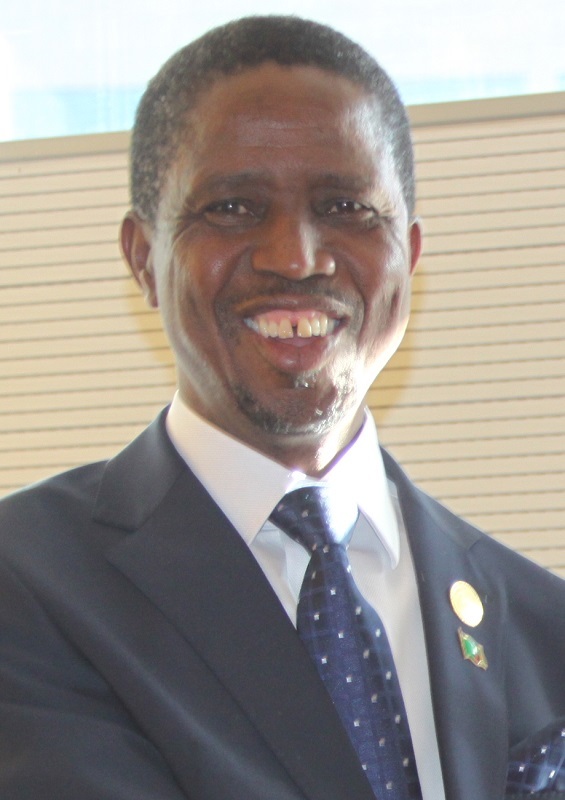 In recent news, Edgar Lungu, current president of the nation of Zambia, proclaimed Sunday, October 18, 2015, a day of prayer and fasting to save the kwacha. The kwacha is Zambia’s currency. You see, since the start of 2015, the kwacha has fallen 45% in value against the U.S. dollar. This took place in the midst of a global drop in the price of copper, Zambia’s main export, and nationwide power shortages due to drought conditions hitting Zambia’s hydroelectric power plants hard. As part of the day of prayer, sporting events would be postponed to another day, and bars would be closed until 6:00 PM. But not everyone in Zambia was gung-ho about the idea . . . Opponents of President Lungu say the day of prayer is just a distraction. “Stop the policy inconsistencies, put all economic fundamentals in place, and then maybe you can pray,” said financial analyst Mambo Hamaundu. In other words, Lungu’s critics believe that the solution to Zambia’s economic woes lie right here on earth: it involves taking the steps required to put Zambia’s economy on a sound—and more diversified—footing. But is there really a contradiction between the two? It is possible both to call on God for help and take the practical steps necessary to face the problem. In fact, the main purpose of prayer is not to change God’s mind and get God to take action. Rather, it’s to put us in the right frame of mind to accept help and inspiration from God within our mind and heart, and then take the practical steps necessary to overcome our adversities. Think about it. God is already perfectly aware of our situation here on earth. God is ready and willing to do everything possible to improve our situation, and especially to provide for our eternal wellbeing. If things are messed up here on earth—currencies failing, economies faltering—is it really because God isn’t doing enough? Of course, there are natural disasters that we can’t do anything about; we just have to deal with them. But let’s face it, most of the major social and economic problems we face, we created ourselves. And if things are going to get better, we are the ones who are going to have to change, not God. So what does prayer accomplish? Prayer is a wonderful tool to enrich our lives. If it is effective prayer, it helps open our minds and hearts to see things in a new way, in a clearer light. It shows us where we have been getting off track so that we can get back on track. Think of prayer as a meditative communication with God, not as submitting a request to some divine suggestion box. God is not going to magically fix our problems if we all just stop and pray about it—especially if prayer is the only action we take. However, perhaps if we all stop for a moment and pray about it, God will inspire us to make the hard decisions and take the difficult steps that will, in time, solve the massive problems we humans face here on earth. And yes, sometimes through prayer we do open up new channels for God to bring healing to a sick person or comfort to someone in emotional distress. Perhaps Zambia’s national day of prayer and fasting will bring about some good for the kwacha, and for Zambia’s economy. But that’s not going to happen by God miraculously intervening in Zambian politics and finance. If the day of prayer does have an effect, it will be to help put the leaders and people of Zambia into a mindset in which they will take the steps needed to face and overcome the difficulties facing their economy. This includes having the political will to take the hard steps necessary to put Zambia’s economy on a more solid and stable footing. The same goes for the rest of us, too—no matter what we are praying for. Prayer is not about getting God to rescue us and fix our problems for us. Instead, effective prayer involves listening to God as we pray. And if we listen deeply enough, and are willing to let God into our hearts and minds in a new way, God will give us the strength and wisdom to deal constructively with the issues we face. ‹ The World is Coming to an End! . . . Says . . . Stephen Hawking?!? Prayer, and the response to it, is different for different people. I do think that prayer can be effective, but exactly how it is effective is not something we can predict beforehand because it’s in God’s hands, not ours. Some people do apparently receive miraculous responses to prayer. Others pray fervently, but nothing seems to happen. And though there are some general principles relating to prayer, I doubt we’ll ever know exactly why God takes action in response to one prayer but not to another. I will say, though, that what God is most concerned about is our spiritual and eternal wellbeing. People commonly think that if they pray for some material thing, such as money or a car or a house or physical health, and their prayer is answered, that is a great blessing from God and a confirmation that God really cares. And that’s not necessarily false. But all of these things are temporary. Even if they are granted, as good as that may be for those who receive the answer to their prayer, it is only a real blessing if it helps them to move forward in their spiritual life. So I would suggest not getting too hung up on whether prayers for physical and material things get answered. Those things are important to us, but only in a temporary way. The best and most effective prayers are prayers for spiritual things, such as a softening of your own heart toward those you consider enemies, or new understanding of how you can serve your fellow human beings better and more from the heart, or for release from a crippling sense of guilt about past actions. These are the types of prayers God most likes to hear. When we pray them sincerely, God will work on our spirit from the inside out to help us move forward in those ways. Regarded in itself prayer is talking to God and at the same time some inner view of the things that are being prayed for. Answering to this there is something like an inflow into the perception or thought of the person’s mind, which causes a certain opening of the person’s inner self towards God. But the experience varies according to the person’s state and according to the essence of whatever the person is praying for. If the prayer springs from love and faith, and if they are wholly heavenly and spiritual things about which and for which the person prays, something like a revelation is present within the prayer that shows itself in the emotions of the one praying in the form of hope, comfort, or some inward joy. In other words, the greatest results of prayer are an inner opening of our mind and heart to God’s presence and to new light and love from God that we feel within ourselves. But is that bad? Is it bad to avoid sites if it’s too much for me to handle? Of course, if somebody is directly talking to me, I will listen and do everything I can to help. If I come across it, I will usually comfort them (I’m a really shy person so sometimes I’m too cowardly to actually say something and I pray instead). Most of the time, however, I just won’t LOOK for it. Is that bad though? Am I doing something wrong? Am I overestimating prayer? Or am I being too hard on myself and expecting too much out of myself (It’s a really, really bad habit I have)? The people in my life aren’t upset with me for it (Or at least I don’t think they are), but what about God? You’re not doing anything wrong. Remember, you’re not God. God is infinite, and can handle the problems of every single one of the seven or eight billion people on this earth. You’re finite, with only so much time and emotional energy. It’s not your job to solve all the world’s problems nor to help and comfort every single person who’s in need. That’s God’s job. There will always be far more than any one of us human beings can handle. Whatever help you do give to others, that’s a good thing. Don’t worry about what you can’t do. Focus on what you can do. If you run yourself ragged trying to deal with everyone’s problems, you’ll just wear yourself out and get sick or have a nervous breakdown, and then you’ll be no good to anyone. Be happy with the little good that you can do. God is. However, like I said, sometimes I get too shy to actually speak up, so I pray instead. For example, I was looking up a question on google and I came across many Yahoo questions about committing suicide. I was deeply concerned for these people, especially when people were being terrible to them by giving them ways to do it and joke answers. There were some people who were encouraging them to stay alive, of course. I tried to see if there was a way I could tell them to not commit suicide anonymously because I don’t have a Yahoo. No luck. Instead, I just prayed to God they wouldn’t do it and they’ll get help and get better. This happens quite often actually; I get too scared to speak up and say something and I end up resorting to prayer. Am I overestimating prayer? Is prayer alone not good enough? Will I be punished for not saying anything, especially if they don’t listen to the people who are telling them to stop? This life is messy. We really can’t fix all the problems of the world, or all of everyone else’s problems. It’s just not humanly possible. What I find good here is that you truly care about these people who are on the edge of committing suicide. If that concern is strong enough in you, perhaps it will lead you to take training on suicide prevention, and maybe even go into doing work (paid or volunteer) in which you can be of real help to people who are contemplating suicide. I can’t tell you whether you should make a Yahoo account and respond to all of those people. But if you feel strongly in your heart that you want to be able to help people who are on the edge of suicide, then perhaps it will lead you to take some practical steps toward equipping yourself with the knowledge and position to be of real help to at least some of them, even if you can’t humanly help all of them. There are good and bad ways to talk to people who are thinking about killing themselves. If you truly care about them, it would be best for you to learn more about it. It’s similar to going into water rescue. If you don’t get the proper training, instead of saving someone who’s drowning in the local lake or river, you might end out not only not saving their life, but also drowning yourself. Of course, prayer is also good. But even prayer is meant to lead us to concrete action of one kind or another. So is prayer alone enough? Is it good enough that I just pray? Like, is that okay or do I actually have to do something as well?? It depends on what you want to accomplish, and what your abilities and position are. In some cases, praying is all we can do, because we’re not in a position to do anything physically about a particular situation. In other cases we are able to do something physical (or interpersonal), and that will accomplish things that prayer alone cannot. But we do have to keep in mind that we cannot be all things to all people. Once again, that’s God’s job, not ours. Is part of the point of prayer for us to learn of our total reliance on God? I don’t believe that God ever withholds anything we need from us, but as it says in the book of James ‘you have not because you ask not,’ so does it make sense to say that sometimes what we need IS to learn that we need to ask God for things, and so God will not do certain things because we have not prayed for them? It’s not that God wouldn’t do things for us because we have not prayed for them. God wants to do us all good continually. The issue is not God’s willingness, but our receptiveness. When we pray to God, we are making ourselves more receptive to the good things God wants to do for us—which aren’t always the same as the things we are praying for. Prayer opens up new, and stronger, channels on our end through which God can flow into our lives. Praying for others opens up channels also. We are not islands unto ourselves. We are a human and spiritual community, affecting one another every day and every moment through a multitude of spiritual and interpersonal connections. Just as one or a few people in a community can open up new possibilities for that community by articulating needs or potentials in the community, so that others begin thinking about them and (ideally) doing something about them as well, so one or a few people praying for others in our wider spiritual community can open up new possibilities for God to act both directly and through other people. God is always ready to act for our good. And God can act more strongly for our good when we open up pathways on our and for God to come into our lives in new and stronger ways. Prayer is one of the ways we do that.